﻿ 1962 | Milovan Djilas: Albania - Swallow it! Milovan Djilas (1911-1995) was a writer and leading Yugoslav politician from Montenegro. He was a major figure of Yugoslav communism after the Second World War, but later, by 1954, became a prominent critic of Tito and spent many years in prison. 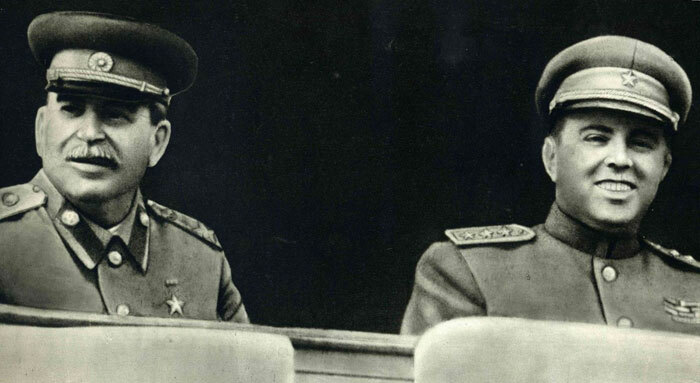 In January 1948, Djilas was sent to Moscow to negotiate with Stalin, with whom Yugoslavia was still allied. Their meetings and discussions, revealed by Djilas in his book "Conversations with Stalin," dealt among other things with Albania, as seen in the following extracts. 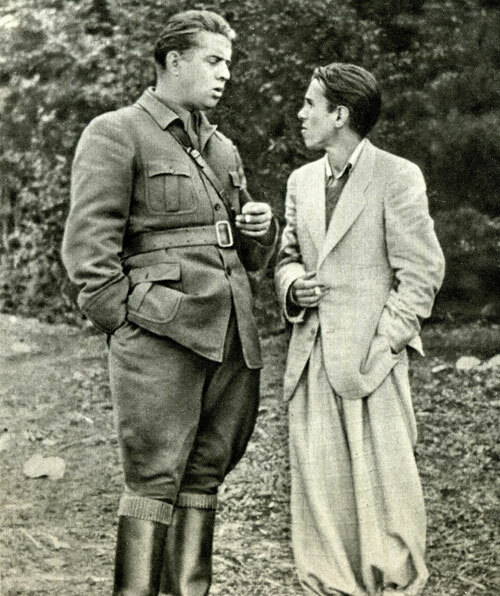 Stalin's obvious indifference to Albania contrasts sharply with the official admiration with which he was held in Albania throughout the Hoxha regime. In the 1980s, Albania was the last country on earth still to revere Joseph Stalin. Stalin’s interest in Yugoslavia was different from that of the other Soviet leaders. He was not concerned with the sacrifices and the destruction, but with what kind of internal relations had been created and what the actual power of the rebel movement was. He did not collect even this information through questioning, but in the course of the conversation itself. The occasion for my departure to Moscow was the divergence between the policy of Yugoslavia and that of the USSR toward Albania. In late December of 1947 there came from Moscow a dispatch in which Stalin demanded that someone of the Yugoslav Central Committee—he spoke of me only by name—come in order to bring into harmony the policies of the two Governments vis-à-vis Albania. The disharmony made itself felt in various ways, most visibly after the suicide of Nako Spiru, a member of the Albanian Central Committee. A linkage between Yugoslavia and Albania had been developing in all fields. Yugoslavia was sending to Albania experts of all kinds in ever increasing numbers. Food was shipped to Albania, though Yugoslavia itself suffered a shortage. The creation of joint-stock companies had begun. Both Governments agreed in principle that Albania ought to unite with Yugoslavia, which would have solved the question of the Albanian minority in Yugoslavia. The conditions that the Yugoslav Government presented the Albanian were far more favorable and just for the Albanians than those, by comparison, that the Soviet Government offered to the Yugoslavs. Apparently, however, the problem lay not in the degree of justice but in the very nature of these relations. A part of the Albanian leadership was intimately and secretly against the Yugoslav approach. Nako Spiru—slight, frail, very sensitive, with a fine intellect—directed the economic affairs of the Albanian Government at the time and was the first to rebel against Yugoslavia, demanding that Albania develop independently. His stand provoked a sharp reaction not only in Yugoslavia but in the Albanian Central Committee as well. He was especially opposed by Koçi Xoxe, Albanian Minister of the Interior, who was later shot on the charge that he was pro-Yugoslav. A worker from southern Albania and a veteran revolutionary, Xoxe enjoyed the rep­utation of being the most stable Party man despite the fact that Enver Hoxha—an undoubtedly better-educated and far more agile personality—was Secretary General of the Party and Premier of the Government. 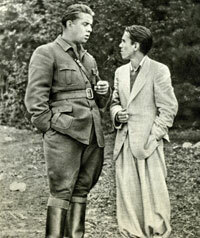 Hoxha, too, joined in the criticism against Spiru, even though his actual position remained unclear. Poor Spiru, finding himself isolated and charged with chauvinism and probably on the brink of being expelled from the Party, killed himself. With his death he started something he never would have imagined—the worsening of Yugoslav-Albanian relations. To be sure, the affair was hushed up before the public. Later, after the open break with Yugoslavia in 1948, Enver Hoxha placed Spiru on a pedestal as a national hero. But in the summits of both countries the affair left a bad impression which could not be dispelled by assertions concerning Spiru’s cowardice, petty bourgeois spirit, and the like, which always abound in the Communist arsenal of clichés. 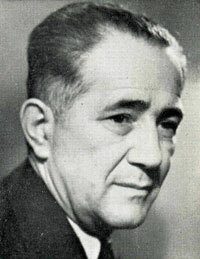 The Soviet Government was excellently informed both about the real causes of Spiru’s death and about all of Yugoslavia’s activities in Albania. Her Mission in Tirana grew more and more numerous. Besides, relations among the three Governments—the Soviet, Albanian, and Yugoslav—were such that the last two did not particularly conceal their relations from the first, though it should also be said that the Yugoslav Government did not consult the Soviet with respect to the details of its policy. Soviet representatives made ever more frequent complaints about certain Yugoslav measures in Albania, while an ever greater closeness was observed between the group around Hoxha and the Soviet Mission. Every once in a while a complaint by this or that Soviet representative came to the surface: Why were the Yugoslavs forming joint-stock companies with the Albanians when they refused to form the same in their own country with the USSR? Why were they sending their instructors to the Albanian Army when they had Soviet instructors in their own? How could Yugoslavs provide experts for the development of Albania when they themselves were seeking experts from abroad? How was it that all of a sudden Yugoslavia, itself poor and underdeveloped, intended to develop Albania? Along with these divergencies between the Soviet and the Yugoslav Governments, Moscow’s tendency to replace Yugoslavia’s position in Albania became all the more evident, which seemed extremely unjust to the Yugoslavs in view of the fact that it was not the USSR that proposed to unite with Albania, nor was the USSR even a bordering neighbor of Albania’s. The turning of the Albanian leaders to the Soviet Union became increasingly evident and found ever more lively expression in their propaganda. The Soviet Government’s invitation to remove disagreement over Albania was accepted with both hands in Belgrade, though it has remained unclear to this day why Stalin emphasized that he wanted precisely me to come to Moscow. It seems to me that he was led by two reasons. I probably must have given him the impression of being a forthright and candid man. I expect that I was considered such among the Yugoslav Communists too. As such I was suitable for a straightforward discussion over a complicated and very sensitive question. However, I also believe that he had the intention of winning me over in order to split and to subordinate the Yugoslav Central Committee. He already had Hebrang and Žujović on his side. But Hebrang had been thrown out of the Central Committee and placed under secret investigation because of his unexplained behavior while in prison during the war. Žujović was a prominent figure, but even as a member of the Central Committee he did not belong to the inner circle that had formed around Tito in the course of the struggle for the unity of the Party and during the revolution itself. During Tito’s stay in Moscow in 1946, when he told Stalin that I suffered from headaches, Stalin had invited me to visit him in the Crimea for a rest cure. But I did not go, largely because Stalin’s invitation had not been made again through the Embassy, and so I took it to be a polite gesture, made simply because the conversation had turned to me. Thus I set out for Moscow—on January 8, if I remember correctly, and certainly not far from that date—with ambiguous feelings: I was flattered that Stalin had invited me specifically, but I also had vague, unutterable suspicions that this was neither by chance nor with pure intentions with regard to Tito and the Yugoslav Central Committee. I received no special orders or instructions in Belgrade, nor were any instructions necessary, inasmuch as I was a member of the inner circle of leaders and au courant an Albanian-Yugoslav relations. The stand had already been formulated that Soviet representatives should not hinder the already announced policy of Yugoslav-Albanian unification by their tactless actions or by taking a different line. Representatives of the Yugoslav Army took advantage of a good opportunity to send with me their own delegation, which was to present requests for munitions and for the development of our war industry. This delegation included the then Chief of the General Staff, Koča Popović, and the head of the Yugoslav war industry, Mijalko Todorović. Svetozar Vukmanović-Tempo, then director of political administration in the army, also traveled with us, in order to acquaint himself with the experience of the Red Army in that area. We set out by train for Moscow, in good spirits and in even better faith. And also with the set view that Yugoslavia should solve its problems in its own way and largely through its own resources. As usual, at about nine o’clock in the evening they took me to the Kremlin, to Stalin’s office. Gathered there were Stalin, Molotov, and Zhdanov. The last, as was known to me, had charge in the Politburo of maintaining relations with foreign parties. I began to explain: Nako Spiru was against linking Albania with Yugoslavia; he isolated himself in his own Central Committee. I had not even finished when, to my surprise, Stalin said: “We have no special interest in Albania. We agree to Yugoslavia swallowing Albania! ...” At this he gathered together the fingers of his right hand and, bringing them to his mouth, he made a motion as if to swallow them. Despite this manner of expression, the whole atmosphere was cordial and more than friendly. Even Molotov expressed that bit about swallowing with an almost humorous amiability which was hardly usual with him. I approached a rapprochement and unification with Albania with sincere and, of course, revolutionary motives. I considered, as did many others, that unification—with the truly voluntary agreement of the Albanian leaders—would not only be of direct value to both Yugoslavia and Albania, but would also finally put an end to the traditional intolerance and conflict between Serbs and Albanians. Its particular importance, in my opinion, lay in the fact that it would make possible the amalgamation of our considerable and compact Albanian minority with Albania as a separate republic in the Yugoslav-Albanian Federation. Any other solution to the problem of the Albanian national minority seemed impracticable to me, since the simple transfer of Yugoslav territories inhabited by Albanians would give rise to uncontrollable resistance in the Yugoslav Communist Party itself. I had for Albania and the Albanians a special predilection which could only strengthen the idealism of my motivations: The Albanians, especially the northern ones, are by mentality and way of life akin to the Montenegrins from whom I spring, and their vitality and determination to maintain their independence has no equal in human history. Though it did not even occur to me to differ with the view of my country’s leaders and to agree with Stalin, still Stalin’s interjections for the first time confronted me with two thoughts. The first was the suspicion that something was not right about Yugoslavia’s policy toward Albania, and the other was that the Soviet Union had united with the Baltic countries by swallowing them. It was Molotov’s remark that directly reminded me of this. Both thoughts merged into one—into a feeling of discomfort. The thought that there might be something obscure and inconsistent about Yugoslav policy toward Albania did not, however, cause me to admit that this policy was one of “swallowing.” Yet it did strike me that this policy did not correspond with the will and the desires of the Albanian Communists, which, for me, as a Communist were identical with the aspirations of the Albanian people. Why did Spiru kill himself? He was not “petty bourgeois” and “burdened by nationalism” as much as he was a Communist and a Marxist. And what if the Albanians wished, as we did vis-à-vis the Soviet Union, to have their own separate state? If the unification were carried out despite Albanian wishes and by taking advantage of their isolation and misery, would this not lead to irreconcilable conflicts and difficulties? Ethnically peculiar and with an ancient identity, the Albanians as a nation were young and hence filled with an irrepressible and still unfulfilled national consciousness. Would they not consider unification as the loss of their independence, as a rejection of their individuality? As for the other thought—that the USSR had swallowed the Baltic states—I linked it with the first, repeating, convincing myself: We Yugoslavs do not wish, do not dare, to take that road to unification with Albania, nor is there any immediate danger that some imperialistic power, such as Germany, might bring pressure on Albania and use it as a base against Yugoslavia. I confirmed his leading questions. Afraid that I had not understood, I sounded him out, and he repeated that I was to write the dispatch to the Yugoslav Government in the name of the Soviet Government. At that moment I took this to be a sign of special confidence in me and as the highest expression of agreement with the Yugoslav policy toward Albania. However, while writing the dispatch the next day, the thought occurred to me that it might someday be used against my country’s Government, and so I formulated it carefully and very briefly, something like this: Djilas arrived in Moscow yesterday and, at a meeting held with him on the same day, there was expressed complete agreement between the Soviet Government and Yugoslavia concerning the question of Albania. That dispatch was never sent to the Yugoslav Government, nor was it ever used against it in later clashes between Moscow and Belgrade. The rest of the conversation did not last long either and revolved idly around such uneventful questions as the location of the Cominform in Belgrade and its newspaper, Tito’s health, and the like. The whole conversation in the Kremlin lasted about a half hour, and then we set out for Stalin’s villa for dinner.